* Disclaimer: The concepts and materials presented herein are for informational purposes only. 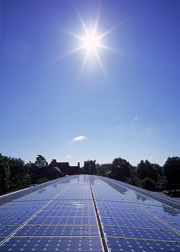 These materials are solar concepts which are important to, and generally accepted by, the solar industry. Steve Geiger/Solar Professor does not make any guarantees that this information will ensure you pass any of the exams offered by NABCEP, nor is Steve Geiger/Solar Professor directly affiliated with NABCEP.